Google, after having leapfrogged Apple iOS in U.S. mobile OS market share few months back and topped adoption in U.S. smartphone market, giant Google has once again scored good grades. Google's Android has now passed up Nokia's Symbian to take the top spot among smartphone platforms, ending Nokia's 10 year reign on top of the global smartphone industry, according to research firm - Canalys. It was reported that 32.9 million handsets running a Google platform, which includes Android, OMS and Tapas, were sold last quarter, enough to topple Nokia's Symbian, which had sales of 31 million, from the number one place. Apple came in third with 16.2 million iPhones sold. I am not surprised by his statement because to him (Lee) religion is not important. For him the end justifies the means, so if he wants racial integration in Singapore, he won’t let Islam stand in the way of his goals. He has no respect for religion and the sensitivities of other people. The tiff between the two former leaders Dr Mahathir and MM Lee Kwan Yew never seem to end. In Minister Mentor Lee Kwan Yew latest book launch, he made several comments on the Muslims and had resulted in hot debate and disagreement among the Singapore community. Yesterday, Minister-in-Charge of Muslim Affairs, Dr Yaacob Ibrahim, tried hard to defend Minister Mentor Lee Kwan Yee's recent negative comments on the Muslim community in Singapore. Yaacob urges Singaporeans to put MM Lee's comments about the Muslim community into perspective despite disagreeing with MM Lee. Today, Singapore Prime Minister Lee Hsien Loong finally responded to his father MM Lee's comments. In short, PM Lee disagreed with his father's comments. But my own perspectives on how things are in Singapore based on my interaction with the Malay community, the mosque and religious leaders and the grassroots leaders, is not quite the same as MM's. Okay, PM Lee is the first to publicly disagree with Minister Mentor Lee Kwan Yew. Would this regain some votes given our PM has come out to clear the air among the Malay community? Minister-in-Charge of Muslim Affairs, Dr Yaacob Ibrahim, tried hard to defend Minister Mentor Lee Kwan Yee's recent negative comments on the Muslim community in Singapore. Yaacob urges Singaporeans to put MM Lee's comments about the Muslim community into perspective. The Association of Muslim Professionals (AMP), which comprises mainly elite Muslims, had raised its concerns over MM Lee's latest comments and demanded clarification over what does it mean when MM Lee said Muslims in Singapore are distinct and not easy to integrate. Another high profile Muslim community, Majlis Ugama Islam Singapura (MUIS), had raised similar concerns. 1. The Association of Muslim Professionals (AMP) deeply regrets certain comments made by Minister Mentor (MM) Mr Lee Kuan Yew in his book Hard Truths to Keep Singapore Going. These comments are in relation to the practice of Islam by the Malay-Muslim community (MMC) where MM Lee had urged the MMC to be less strict in their practice of Islam in order to facilitate integration, and in relation to the issue of gaps between the MMC and other communities in Singapore, where MM Lee opined that the MMC will never catch up with the other communities. We note that these views of MM Lee are not new. It is not clear why MM Lee has chosen to repeat them at this point. 2. However, because these views come from MM, and are repeated in print, it is important for the community to set its rejoinders. We do not agree with MM's views. In our view, MM’s comments have hurt the community and are potentially divisive. 3. Fundamentally, there is nothing wrong for any community in Singapore in being distinct, for it to carry out its religious practices, or in asserting its identity. Islam enjoins Muslims to integrate within the broader Singapore community. It is not mutually exclusive for a good Muslim to be a good Singaporean. In fact, a good Muslim is duty bound, in Islam, to be a good Singaporean. 4. Many other religious communities practise their rituals. There is nothing wrong with this. Further, many ethnic communities assert their identities. Again, there is nothing wrong in this. For example, the state-promoted policy of SAP schools (where it could be argued that students do not have the same opportunity to mingle with other communities) manifests the assertion of the Chinese identity. The Speak Mandarin campaign is yet another example of the assertion of Chinese identity. The MMC has accepted these assertions of identities as part and parcel of living in a multi-ethnic and multi-religious community. Just like other Singaporeans, we celebrate diversity of beliefs and practices. It is therefore perplexing to see the Malay/Muslim community as being unfairly singled out for reasons which we cannot fathom. 5. ]It is unusual for MM to conclude that Muslims have not integrated based on his sporadic observations of eating practices of Muslims. Many Muslims have no qualms sharing tables with their non-Muslim friends and colleagues. Muslims are obliged to observe certain dietary restrictions, inasmuch as people subscribing to other religions (e.g. Buddhists or Hindus who do not consume certain types of foods) or others having dietary restrictions (vegetarians, vegans). It is a stretch and disingenuous to suggest that Muslims are against or less likely to integrate primarily on account of our dietary restrictions or eating habits. 6. Ironically, MM's comments, which had purported to touch on integration, could be potentially divisive. MM’s comments create the misperception that the MMC is against or disinterested in integration, which is untrue and unfounded. It tends to perpetuate this misperception for younger Singaporeans in particular, who may take his views, as the first Prime Minister of Singapore, as the truth. These misperceptions could hinder integration going forward. 7. Apart from the issue of the practice of Islam, MM had also commented that the Malay/Muslim community will never catch up with other communities in Singapore. Again, this is regrettable. To state this in print is effectively condemning the MMC as a lagging and marginalised community, even in the longer term. 8. MM's comments also raise questions as to whether they reflect the thinking of other political leaders. Does this thinking (relating to the misperception of Muslims being disinterested in integration, or that the MMC will never catch up with other communities) affect, directly or indirectly, other government policies? If this is not the case, then the State should clarify this. Otherwise, the perception will be that the comments expressed by MM Lee, as a core member of the Cabinet, reflects the official position of the Government. THE highest authority on Muslim affairs said yesterday that the teachings of Islam do not hinder Muslims from integrating fully into Singapore society. In fact, the true teachings of Islam obligate believers to live harmoniously in a multi-religious and multi-racial society, the Islamic Religious Council of Singapore (Muis) said. The statement on its website was in response to questions from the public about whether Islamic practices were a barrier to the integration of Muslims in Singapore's plural society. These questions were prompted by Minister Mentor Lee Kuan Yew's comments in the book, Lee Kuan Yew: Hard Truths To Keep Singapore Going, that Muslims in Singapore tend to be 'distinct and separate'. Muis said the Muslim community here is deeply aware that Islam's teachings exhort believers to live together harmoniously in a plural society like Singapore's. 'An ethos in the Singapore Muslim identity elucidates clearly that a good Muslim who is true to his religion, is also one who is a good citizen,' it said. Mr Lee's comments have drawn reactions from Muslims here and overseas. In the book, Mr Lee, when asked to assess the progress of multi-racialism in Singapore, said: 'I have to speak candidly to be of value, but I do not want to offend the Muslim community. His remarks have been criticised by some leaders, officials and readers in Malaysia and Indonesia after they were reported in local newspapers. Muslims and other Singaporeans have also written to The Straits Times Forum page on the issue. 'The integration process is readily accepted by the Muslim community as an integral part of the nation's development and progress, which is a shared aspiration of every Singaporean. First, by the aspiration to live up to the country's tenets, as laid out in the pledge to live 'as one united people, regardless of language, race and religion'. Second, by the teachings of Islam, which obligate Muslims to live harmoniously with those of other races and religions. 'This is reaffirmed by the teachings of Prophet Muhammad through the hadith (the sayings of the Prophet) and his life journey,' the statement said. It recalled that in 2005, Muis launched the Singapore Muslim Identity project to bring home the point that Muslims can stay true to their religion comfortably while being active citizens in a secular, multi-racial state. Muis added that it was confident that this better understanding of the true teachings of Islam has led Singaporean Muslims to take a progressive outlook and become very much part of the mainstream. Minister Dr Yaacob Ibrahim must know it is not prudent to offend and upset MM Lee, AMP and MUIS. What a dilemma! The Economist has an interesting page that provides us with an interactive overview of government debt across the planet. Every second, someone in the world takes on more debt and so, the global debt clock just keeps increasing. It seems to imply Singapore's public debt and debt per person is a LOT higher than United States'. However, public debt must be looked at in the context of both domestic and foreign debt. U.S.'s national debt is mostly foreign held by foreign counterparts like China, Japan, etc, even including Singapore. In comparison, Singapore's national debt is mostly made of CPF - the national savings scheme/fund for retirement, i.e. domestic. On the international debt market, Singapore is a net creditor. 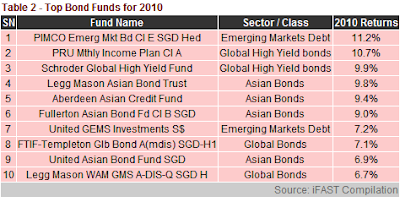 Singapore Treasury does not need to issue bonds to raise money; it issues bonds to sustain and smoothen the bond markets. On the contrary, U.S. Treasury issues bonds because they really need the money to rollover. There are some things that you should never do on social networking site, Facebook. The default security and privacy settings on Facebook is bad enough and could just expose yourself to the many NEVERs listed above. Read more on "Seven things you should never do on Facebook" on Yahoo! now. Facebook "overvalued"? Potential bubble forming in the technology sector? But the Bloomberg Global Poll conducted Jan. 21-24 shows investors disagree with Goldman Sachs' assessment that Facebook is worth more than Web pioneers such as Yahoo and eBay, even though Facebook surpassed Yahoo in October as the third most visited website in the world. And investors are concerned it shows a bubble may be forming in the technology sector. A video of a salesman at Sim Lim Square swearing and using vulgarities at a customer has gone viral on the Internet when the customer asked for a price breakdown of his friend's purchases, after they suspected that he was overcharged. The customer was a 25 year old Chinese native Chen Tao. But in a twist of events, the boss of the shop revealed a picture of Chen behaving inappropriately towards the staff too, even climbing the glass display case in a threatening manner. The stall in limelight is Compact Electronics, Sim Lim Square. Watch the drama on RazorTV. 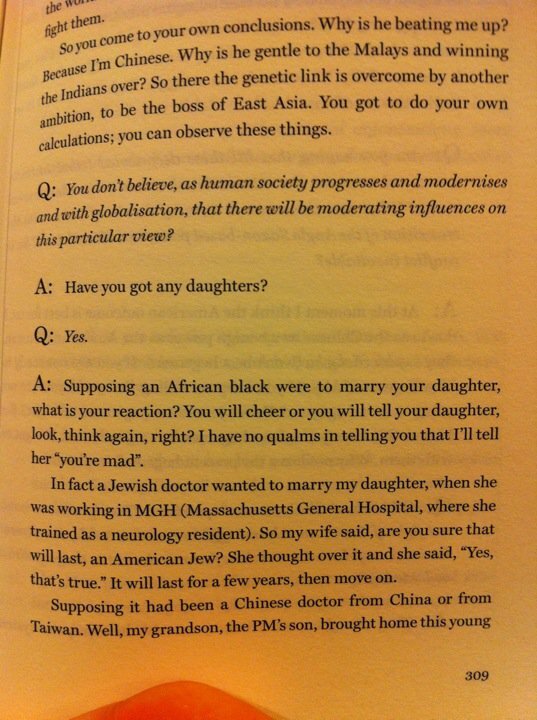 Okay, netizens are beginning to start commenting on Minister Mentor Lee Kwan Yew's comment on cross racial marriages in this new book - "Hard Truths". Many of these comments were negative. Hey, c'mon! Such mindset of feeling uncomfortable seeing own sons and daughters marrying someone else of different race is common in Asia among the elderly, including MM Lee himself. 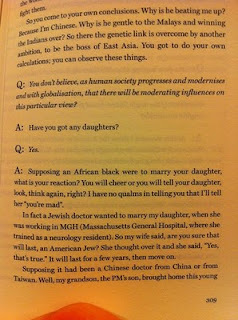 I don't agree with all of the statements made by LKY in his book but for this, I have to agree. That's the hard truth and many just do not wish to accept it, trying to think objectively for just one moment but the real truth is, their subjective mindsets will eventually takeover. We still pretty much live in a world whereby we do really care how others judge us. 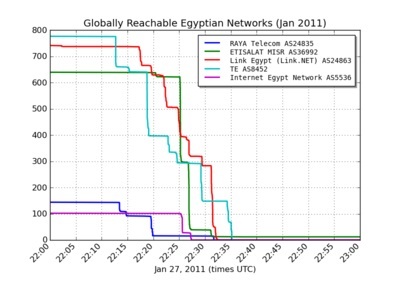 Every Egyptian provider, every business, bank, Internet cafe, website, school, embassy, and government office that relied on the big four Egyptian ISPs for their Internet connectivity is now cut off from the rest of the world. Follow Reuters' coverage as a wave of unrest grips Egypt over President Hosni Mubarak's 30-year rule. The following are compiled by the iFAST Research Team. 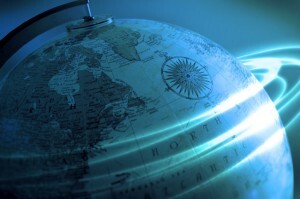 January 28, 2011 marks Data Privacy Day. Looking from the list of sponsors and the participating organisations, we see familiar names like Intel, Microsoft, Google, Visa, and so on. But wait, where is Apple? NTUC Income remains committed to our social purpose to do good for our customers and the community. But in order to be able to do good, we must do well in our business. We continue to act as the price moderator in the industry, offering some of the most competitive life, health, general insurance products. We also offer low-priced, high-protection plans exclusively for NTUC members and unions. Last year, in view of our excellent business results, we were able to pay a total bonus of $415.5m to our participating life insurance policyholders. We also pledged to contribute 1% of our operating profits to OrangeAid, our CSR fund set up to benefit children and youths. Besides making significant contributions to the Moral Home for Disabled, the Singapore Children's Society and the Assumption Pathway School, we launched the NTUC Income Family Micro Insurance Scheme aimed to benefit 13,000 low-income households with children. We pledged $0.5m over 3 years in support of this scheme. Our annual contribution to the labour movement includes our $1m towards the U Care Fund in aid of low wage workers and their families. We will continue to step up on our Do Good efforts. We must therefore continue to do well. Hope this clarifies. Have a great day! 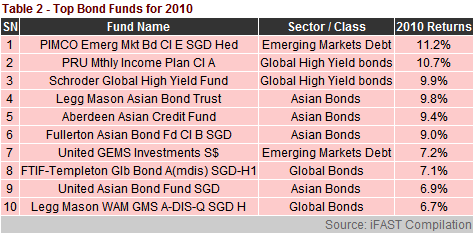 Here are iFAST's forecasts of the key investment themes for 2011. Imo.im is like Meebo, eBuddy, ILoveIM, and any other Instant Messaging webapps. 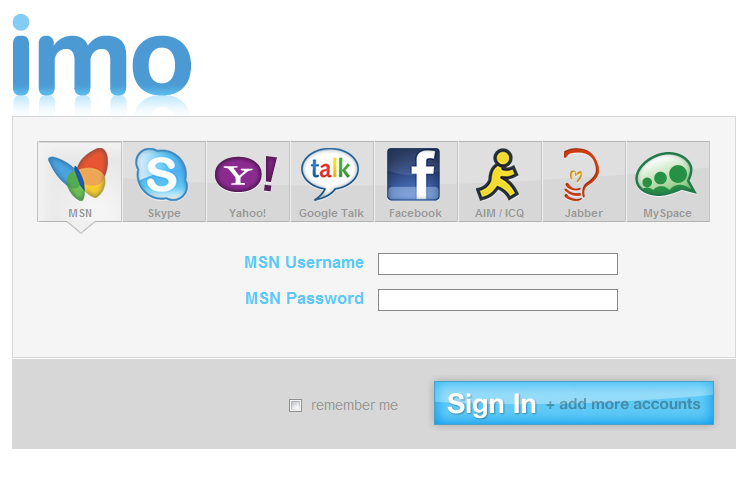 These IM webapps can allow you to log into Skype, GChat, AIM, Yahoo! Messenger and other services, all at once. What's so special about the new Imo.im is its simplistic layout, Chrome desktop notifications, and its ability to run on mobile devices. 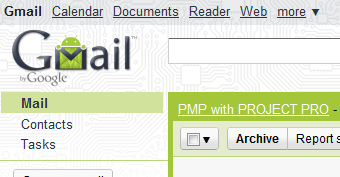 One shortcoming of this service is the missing of "Sign in as Invisible" mode. Invisible mode can only be activated after signing in. If you are using Google Chrome, it is now possible to receive desktop notifications which display pop-ups whenever a chat message or new email arrives. To turn them on, click on the Settings link in the top right corner of Gmail and scroll down to the "Desktop Notifications" section. If you just want to get notified about chat messages, or if you use Priority Inbox and only want to get notifications for important messages, or get notified on any incoming new mails, you can customize your settings from there too. NOTE: This functionality is currently only available on Google Chrome. From a blog post on Facebook, Facebook is experimenting using photos of your friends as captcha in replace to traditional captcha. When we say traditional captcha, we refer to the out-of-focus string of words shown to users that must then be typed correctly onto a textbox to prove you are a human being and not a computer trying to game the system. Social captcha is the currently being experimented new captcha by Facebook. In my opinion, this idea may sounds great, however, I see several obstacles ahead. What happens if the photo shown is a group photo? What happens if your friend uses photos that belong to a cartoon character or someone else's e.g. an idol? Does this mean those who have added strangers as friends will have to start removing them and be more "careful" in the future? Refreshing captcha again and again until we spot a recognized photo is going to be annoying. Facebook has finally added the ability to access the site via a HTTP Secure (HTTPS) connection on mobile and anywhere even on desktop, which should drastically increase security for users. Currently, you can access Facebook securely by typing in https before the web address, but it doesn't work everywhere on the site. This feature can be enabled from the Account Settings page. Will you enable it at the cost of slower surfing experience? I think we should for the security. Some may not know that social networking site Facebook actually does provide us with a tool to download a copy of your information, including your photos and videos, posts on your wall, all of your messages, your friend list and other content you have shared on your profile as a compressed zip file. Facebook Places and Facebook Deals will be launched in Singapore some time this week. Stay tuned for more information from Facebook's coming press releases. For education purposes on Vivo-life, follow here. Russia's Bank of Moscow set yield guidance at around 4.375% for an upcoming two-year bond denominated in Singapore dollars to raise as much as 200 million dollars. ING and UBS as joint bookrunners and joint lead managers for the issue. In comparison to some of the earlier bonds sold in Singapore, Singapore’s CapitaMalls Asia, a unit of Southeast Asia’s biggest developer, sold 125 million dollars of debt due 2014 on Jan 21 with a coupon rate of 2.15%. Standard Chartered Plc's 220 million dollars of bonds maturing 2013 had a coupon rate of 2.22% when sold in July. This bond issue looks rather attractive given its higher interest yield in a shorter maturity period. According to a report from the Wall Street Journal, Moody's Investors Service had cut BOM's debt from Baa2 to Baa3, the lowest within investment grade quality. It also tagged a negative outlook, citing the ongoing sale of Moscow's stake in the bank. Another credit rating company Fitch said it expects to assign a BBB- rating on the new notes, with a "rating watch negative" tag. In September, Fitch had placed Bank of Moscow's long-term ratings on a negative watch, citing a "risk of deterioration in the relationship between the bank and its majority owner, the City of Moscow (State). State ownership of a financial institution is often regarded as a positive factor for bondholders, given a higher likelihood of government support in the event of financial problems. THE danger of stock market bubbles or debt crises occurring in some leading Asian and other emerging economies - including those of India and China - is rising, the IMF warned yesterday. The International Monetary Fund's latest Global Financial Stability Report also sounded strong warnings about the state of the global financial system in general. This, it said, is in part caused by the uneven 'two-speed recovery' in the global economy causing private capital to flow out of advanced economies into emerging economies at a pace which they cannot easily absorb. 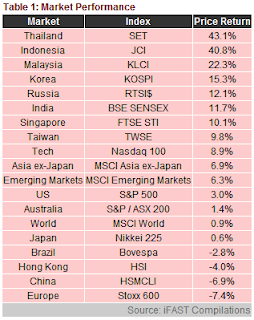 While equity valuations in many emerging markets are still within historical ranges, 'hot spots' are appearing in markets such as Hong Kong, India and Peru, the report said. Retail flows into debt and equity mutual funds in these and other markets could provoke 'asset price bubbles'. At the same time, private debt levels in some Asian and Latin American economies - such as those of Brazil, Chile, China, India and South Korea - are now approaching the peaks they reached before and after the Asian financial crisis, the IMF said. This 'could signal an increase in risk', the report suggested, while cautioning financial authorities in these countries to 'remain vigilant'. Debt quality is meanwhile deteriorating as debt levels pile up in emerging markets. 'A symptom of large capital inflows is that lower-rated entities gain greater market access to debt, lowering the average quality of assets held by investors,' the IMF said. In a report characterised by stronger language than usual, the Washington-based lending institution noted that 'four years after the onset of the largest financial crisis since the Great Depression, global financial stability is still not assured'. 'Significant policy challenges remain to be addressed. Balance sheet restructuring is incomplete and proceeding slowly (while financial) leverage is still high,' it added. In a separate World Economic Outlook Update, the IMF said that global economic output is expected to expand by 4.5 per cent in 2011 - a quarter of a percentage point higher than forecast three months ago - owing to stronger than expected consumption in the US and Japan. The IMF forecasts that output across advanced economies as a whole will expand by 2.5 per cent in 2011 and 2012 while in emerging and developing economies it is forecast to expand by 6.5 per cent in both years. This 'two-track global recovery - with advanced countries growing much more slowly than the rest of the world - continues to pose policy challenges'. Sluggish growth and weak fiscal positions in advanced economies has raised financial market sensitivities to debt sustainability risks, the IMF said. This, combined with accommodative monetary policies and low interest rates is causing money to pour out of the advanced economies. These hot money flows 'are being driven by carry trades in which investors hope to profit from interest rate differentials and expectations of exchange rate appreciation', the IMF said while forecasting that interest rate differentials and carry trade activity are likely to rise. Policy actions are needed to ensure that financial restructuring and balance sheet repair is undertaken by both banks and governments and that regulatory reforms move forward, the IMF said. All countries 'with outsize debt levels - inside and outside the euro area - must make further medium-term, ambitious and credible progress on fiscal consolidation strategies, together with better public debt management', the report added. MM Lee's comments - Stoke a sense of unhappiness among Muslims? I think we were progressing very nicely until the surge of Islam came and if you asked me for my observations, the other communities have easier integration — friends, intermarriages and so on. I think the Muslims socially do not cause any trouble, but they are distinct and separate, calling on the community to be less strict on Islamic observances. MM Lee's comments - Discriminatory or realistic remarks at individuals who are less paper qualified? People get educated, the bright ones rise, they marry equally well-educated spouses. The result is their children are likely to be smarter than the children of those who are gardeners. It's a fact of life. You get a good mare, you don't want a dud stallion to breed with your good mare. You get a poor foal. According to an ex-AOL employee, Ken Auletta, most of AOL's subscribers are paying $25 a month for a dial-up fee, not realizing their cable or DSL plans already enable them to log onto the Internet while still retaining their AOL email address. Most of such overpaying users are elderlies. $25 a month would amount to a total of $300 a year. According to an AOL filing with the Security and Exchange Commission, 43 percent of AOL's revenue in the quarter ending September 30—$563.5 million—comes from its 4.1 million subscribers. That's 3,075,000 subscribers paying an extra $300 a year for dial-up service. If Auletta's source is correct, this means AOL is collecting nearly $1 billion a year from consumers who aren't questioning their bills. I still recall an earlier post made in 2009 by myself on how difficult it was to cancel an AOL account. That was hilarious! For entertainment, I shall re-post here. Google has announced a new Chrome extension on its Public Policy blog that enables you to opt out permanently from ad tracking cookies. 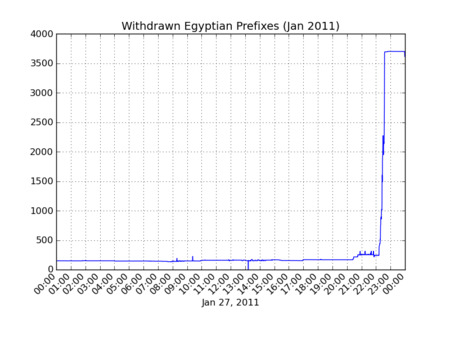 Keep My Opt-Outs is an extension for users who aren’t comfortable with personalization of the ads they see on the web. It’s a one-step, persistent opt-out of personalized advertising and related data tracking performed by companies adopting the industry privacy standards for online advertising. Note: It's available as an extension for download in Chrome. Google has revamped and redesigned its result page when you search for "Weather". It is now smart enough to return you the current weather condition in your location. On top of that, it comes with a new slider bar, when moved, will show a forecast of the next 12 hours' weather condition. As you do this, keep an eye on the temperature, wind speed and humidity and see how all these conditions are expected to trend across the day. You may also notice that the background color changes throughout the day. Sounds interesting and useful to me. Hopefully future printer of mine will support Google cloud printing. Defiant Singaporeans ignore policemen and continue making noises as a form of celebrating Thaipusam. Malaysians carried on with their once-a-year Thaipusam celebration without police intervention. Should events like Malay weddings, lion dances, or even funerals in void decks be banned? Banning devotees not making noises in a religious celebration or tradition is neither racial nor religious harmonious to me. Orchard Road road-raising of 10cm 8% completed; 8% = 8 millimetres? To avoid a repeat of once in 50 years flooding in Orchard Road [1, 2, 3], the National water agency PUB has put in place a three-stages road-raising works along the 1.4 kilometre stretch. In Mathematics, the sequence and order of operations given a problem sum full of different operators is important. BODMAS or PEMAS can help us in remembering the right way of doing things. The Budget 2011 statement will be delivered by Finance Minister Tharman Shanmugaratnam in Parliament on February 18, Friday. A "live" webcast of the delivery of the Budget Statement will be available at the Singapore Budget website at http://www.singaporebudget.gov.sg. Members of the public can visit the Singapore Budget website to subscribe to the Budget Statement mailing list to receive the Budget Statement via email after it has been delivered. This free service will be available for subscription from 26 January 2011 till 2.00pm on 18 February 2011. Just a day or two back, Google Reader was removed from Google's navigation bar and replacing it was Picasa Web Albums. On that day, a tweet on Google Reader revealed the removal of Google Reader was accidental and will be restored. As promised by the Google's team, Reader is indeed reinstated and is back on the navigation bar (at least for now). A very creative answer demonstrating true application of science. Here is the "Bonus Question" on the exam: "Is Hell exothermic (gives off heat) or endothermic (absorbs heat)?" So which is it? If we accept the postulate given to me by Teresa (a girlfriend of mine during my Freshman year) that, "it will be a cold day in Hell before I sleep with you", and take into account the fact that I slept with her last night, then number 2 must be true, and thus I am sure that Hell is exothermic and has already frozen over. Selina's wedding is set to go ahead as planned on Apr 1. Selina, a member of the Taiwanese popular girls group S.H.E. was discharged few days ago though have not fully recovered, did look to be in good shape to me. Singapore local bank, POSB Bank, is currently running a structured deposit investment product - POSB Invest Yield Series 11. Dr Money wrote a couple of articles on his definition of structured products [1, 2]. Looking at the advertised banner, I admit being misled into thinking the investment yield payout can be as high as 6.88% p.a (p.a. was formed in my mind almost immediately but of course I was wrong). 6.88% is definitely going to be a stark contrast against the meagre low 0.1% p.a. interest rate offered POSB Savings deposit. For your information, UOB Bank has a "Grow your savings the easy way" banner plus a "Attractive interest rates" on its website for their "proud" 0.1% p.a. savings deposit interest. A more careful look on the table would have revealed the per annum payout would definitely be less than 1.8% (too lazy to calculate actual p.a.). The as-advertised 6.88% is just a primary school summation of all the 4 years 11 months p.a. percentages. Is this misleading and confusing? Definitely YES but POSB Bank is not violating banking laws since the p.a. is excluded from the advertising banner. Are they flouting ethical practices? I shall leave the answer to you yourself. With such low interest rates returns, non-guaranteed interest rates return since the issuer can always terminate the tenure should the risk becomes high, and a lock-in period of almost 5 years, why not just invest on government bonds for a higher interest rate? On 12 Feb 2010, the Monetary Authority of Singapore (MAS) lifted ban on sale of structured notes on DBS Bank, and the Singapore branches of Malayan Banking Bhd. and Royal Bank of Scotland. On 24 August 2010, the MAS lifted ban on CIMB Securities (Singapore) Pte Ltd, DMG & Partners Securities Pte Ltd, Kim Eng Securities Pte Ltd, OCBC Securities Pte Ltd, Phillip Securities Pte Ltd and UOB Kay Hian Pte Ltd.
Why the ban in the first place? This is after the disputes between many investors of failed structured products, unable to get back the returns that were being promised. Some of such notorious structured investment products were Lehman Minibonds, DBS High Notes, Morgan Stanley Pinnacle Notes and the Merill Lynch Jubilee Notes. Google made a small change to the navigation bar used for its non-search services: the link to Google Reader was moved to the "more" drop-down, while the link to Picasa Web Albums was brought back to the main bar. Later in the day, a tweet on Google Reader revealed the removal of Google Reader was accidental and will be restored. I wonder why Google has yet to release a customizable page for us to set the links to show. The decision of the missing feature must be a business decision. Blog post by Google's Principal Engineer, Matt Cutts, mentioned Google's constant effort in improving search quality and reducing webspam. Webspam is defined as junk you see in search results when websites try to cheat their way into higher positions in search results or otherwise violate search engine quality guidelines. Eric Schmidt announced today that one of Google's co-founder Larry Page will become Google's new CEO. Prior to joining Google in 2001, Schmidt was once CTO of Sun Microsystems and CEO of Novell. He also had a Ph.D. in computer science. Schmidt was hired by Google's founder Larry Page and Segrey Brin to help them fill in the missing experience in running a business. Now, after 10 years, the founders decided they are ready to take on the reins of the CEO. Larry will now lead product development and technology strategy, his greatest strengths, and starting from April 4 he will take charge of our day-to-day operations as Google’s Chief Executive Officer. In this new role I know he will merge Google’s technology and business vision brilliantly. I am enormously proud of my last decade as CEO, and I am certain that the next 10 years under Larry will be even better! Larry, in my clear opinion, is ready to lead. Sergey has decided to devote his time and energy to strategic projects, in particular working on new products. His title will be Co-Founder. He’s an innovator and entrepreneur to the core, and this role suits him perfectly. To facilitate timely decisions, Eric, Sergey and I meet daily to update each other on the business and to focus our collaborative thinking on the most important and immediate issues. Decisions are often made by one of us, with the others being briefed later. This works because we have tremendous trust and respect for each other and we generally think alike. Because of our intense long term working relationship, we can often predict differences of opinion among the three of us. We know that when we disagree, the correct decision is far from obvious. For important decisions, we discuss the issue with a larger team appropriate to the task. Differences are resolved through discussion and analysis and by reaching consensus. Eric, Sergey and I run the company without any significant internal conflict, but with healthy debate. As different topics come up, we often delegate decision-making responsibility to one of us. Eric has the legal responsibilities of the CEO and focuses on management of our vice presidents and the sales organization. Sergey focuses on engineering and business deals. I focus on engineering and product management. Needless to explain further, these 5 traits indicate great stocks! New information has emerged on HP's "Topaz" and "Opal" WebOS tablets, which will now apparently include a sizeable amount of cloud storage and the ability to transfer documents by "tapping". The two tablets: the 9-inch Topaz and a 7-inch model codnamed Opal - a lineup that fits nicely into Palm's "Something big, Something small, Something beyond" tagline for its upcoming February 9th event. This tablet is buttonless! 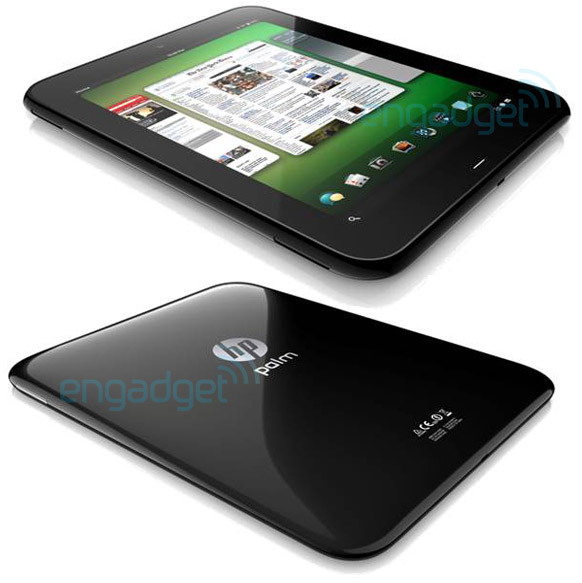 Oh okay, HP Palm WebOS tablets come buttonless before Apple's. To check what Facebook data is being shared and accessible to outside world including those not on Facebook, try typing this URL into your Internet address bar. NOTE: Replace [USERNAME] with your user name (no spaces). Hong Kong billionaire tycoon Li Ka-shing's Hutchison Whampoa announced plans to spin off its Hong Kong and China port assets on Singapore Exchange. Should the IPO plan were to go through, it would be a massive US$6 billion ($7.7 billion), making it the biggest IPO in Singapore ever, eclipsing previous mega deals like SingTel, Global Logistics Properties and Mapletree Industrial Trust. Hong Kong Exchanges & Clearing, the operator of Hong Kong’s bourse, has a market capitalization of US$25.6 billion and trades at 42.2 times profit, according to data compiled by Bloomberg. Singapore Exchange has a market value of $7.1 billion and a price-earnings ratio of at 29.9, the data show. A powerful speech by Martin Luther King. In commemoration Martin Luther King - "I have a dream"
On every third Monday of January, we remember the birthday of Rev. Dr. Martin Luther King, Jr. King was remembered for his nonviolent activism in the civil rights movement, which successfully protested racial discrimination in U.S. federal and state law. The mention of King always reminds me of his famous speech - “I have a dream”. Martin Luther King "I have a dream" speech in text extracted from American Rhetoric. Apple's shares traded in Frankfurt (AAPL.F) fell 7.5 percent by 1438 GMT, while futures for the S&P 500 and tech-heavy Nasdaq dropped 0.3 and 0.9 percent, respectively, after the company's CEO Steve Jobs said the company's board had granted him leave to concentrate on his health. His request for medical leave is almost certainly connected to the islet cell neuroendocrine cancer of the pancreas (a rare, survivable form) that he was treated for in 2004, and the consequent liver transplant he received in April 2009. The Wall Street is closed for trading on Monday to commemorate Martin Luther King, Jr. Day. During Jobs' leave of absence, Chief Operating Officer Tim Cook will be responsible for day to day operations. Jobs will continue as CEO and will be involved in major strategic decisions for the company. When he made a similar announcement in 2009, the stock was briefly suspended after falling more than 10% in the hours after he announced his leave of absence. Will Apple stock price fall more than 10% and get suspended on Wall Street once trading resumes on Tuesday? Taking a break? Find music videos from the artists you love with Google's improved music video search results. Is it wise to terminate my insurance policies if I'm in financial difficulties? Posted by Life Insurance Association of Singapore on 16/11/2009 here. As a general rule, terminating a life insurance policy should be your last resort. Buying a life insurance policy is a mid- to long-term financial commitment. Should you terminate the policy in its early years, the cash value payable may be less than the total premiums you would have paid. In the case of whole life or endowment policies, the cash value is typically zero in the first two to three years, or at best only a small fraction of the premiums paid. In short, most of the money you've paid would not be returned. For investment-linked policies, the amount of cash value, if any, is determined by the prevailing value of the units into which your premiums had been invested. The critical point to appreciate is that should something unfortunate happen to you after you have surrendered the policy, your loved ones can no longer receive the insurance payout IN FULL; this is what is referred to as the "insurance cover or insurance protection". (1) If you hold a traditional endowment policy, you may activate the Automatic Premium Loan (APL) should your policy have cash values. This means that the premiums are deducted from your policy's cash values and you do not have to make premium payment for a period of time. However, please note that the insurance company will charge interest on this loan. This option should be considered as a temporary measure only. If you hold an investment-linked policy, you may take a premium holiday by temporarily stopping the premium payment for a period of time. (2) You may reduce the policy cover, for a lower premium. (1) decline your application, or (2) apply a loading (surcharge) on the premium, or (3) exclude you from being covered for certain specified illness or disability that are present. The specified illness or disability may have been covered under the previous policy you had surrendered. Another consideration is that the cost of insurance cover goes up with age. Even as a healthy person, you will need to pay higher premiums on account of increased age. A decision to terminate a policy should not be taken lightly. We suggest that you discuss with your financial adviser or your insurance company on the different policy options available to help you out with your current financial situation. 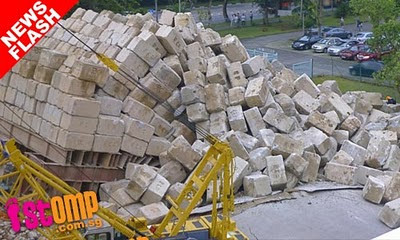 Enjoy the following hilarious marketing video by Rednano.sg during its heyday, before the SPH affiliated Singapore search portal shutdown its operation on Dec 1, 2010. Just realised Rednano.sg, a subsidiary company under Singapore Press Holdings (SPH) behind the online and mobile enhanced directory service, has shutdown its operation since Dec 1, 2010. Since it’s inception, Rednano was a Singapore-centric search engine whose aim was to provide fast and accurate local search results. It has been compared with search engine giant Google and the former eventually surrendered and admitted defeat. Rednano the search engine has now merged with ST701. The ASP.NET validators have this nice property called "SetFocusOnError" that is supposed to set the focus to the first control that failed validation. This all works great until your validator control is inside a naming container. A ASP.NET blogger, David Findley, has a solution to it by overriding the Validate method on a page. Several new Web platform technologies now available in recent weeks. Visit Scott Guthrie's blog post for a good recap. Or watch a video from the Channel9. How does NUS Centralised Online Registration System (CORS) modules bidding system work? How does NUS Centralised Online Registration System (CORS) modules bidding system works? The video below talked about just how confusing the CORS is. Why the change? Read more here. I woke up to the realisation that a scorpio I was is now no longer true. I am now a Libra! We are also used to knowing just the 12 horoscope signs but now, we have a 13th - Ophiucus. Apparently the Babylonians had an Ophiucus column in their daily horoscopes but it got dropped somewhere between their civilisation and ours. The unlucky 13th? Your zodiac sign — Aries, Taurus, Gemini, Cancer, Leo, Virgo, Libra, Scorpio, Sagittarius, Capricorn, Aquarius or Pisces — was originally based on the constellation the sun was in the day you were born. Thing is, Earth wobbles, a phenomenon called precession. Over the 2,500 years or so since the zodiac was established, your sign has moved about a month relative to the sun and stars. You're no longer what you think you are, and so if you're an astrology buff, perhaps poised to make a New Year's resolution based on the stars and a reading of your supposed personality, know that you're actually following observations, predictions and advice aimed at another person entirely. Here's the full truth about your astrological sign.